Do grandparents have rights? | The Draper Law Firm, P.C. Do grandparents have any rights? In Texas, grandparents have rights only in very limited circumstances. The general rule is that the parents have a fundamental right to decide how much, if any, access a grandparent should have. There are two different issues when dealing with grandparent cases: (1) When does a grandparent have the ability to sue for custody? and (2) When does a grandparent have the ability to sue for visitation? Under the Texas Family Code, a grandparent has standing to sue for custody in a variety of ways. First, the grandparent can sue for custody if any of the general standing requirements are met under Section 102.003(a) of the Texas Family Code. These general standing requirements apply to all adults, not just grandparents, so in these situations the person’s status as a grandparent is not relevant. Those grounds include: (1) a person with court-ordered visitation in another state or country; (2) the child’s guardian; (3) a person who has had actual care, control and possession of the child for at least six months; (4) a person designated as a managing conservator in an affidavit of relinquishment or given consent to adopt; or (5) a person who resided with the child and a recently deceased parent. 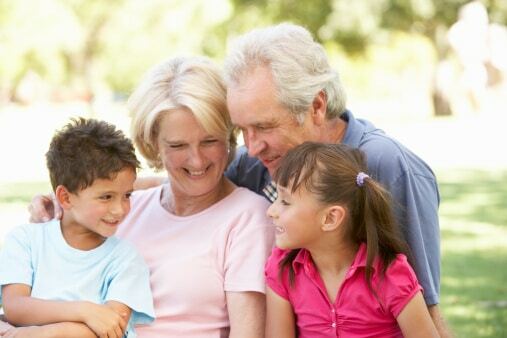 A grandparent also can gain standing under section 102.004(a) of the Texas Family Code if she has satisfactory proof that the child’s present circumstances will significantly impair the child’s physical health or emotional development. The significant impairment must exist at the time suit is filed. The standing rules are different when it comes to a grandparent just wanting visitation of a child. In order for a grandparent to file suit for possession and access, the grandparent must prove that her son or daughter who is the child’s parent is unavailable. This prong is met if the parent: (1) has been incarcerated for at least three months before the petition was filed; (2) has been judicially declared incompetent (3) is dead; or (4) does not have actual or court-ordered possession of or access to the child. Essentially, it is presumed that if the grandparent’s child is in the picture, that person has the right to determine if the grandparent has access or not. It is only when the child of the grandparent is out of the picture that the grandparent now has a right to file suit for possession and access. If the grandparent can sue for possession and access under these terms and the child is with a parent, the grandparent must then show that the child’s physical health or emotional well-being would be significantly impaired if the grandparent is not given possession and access. If a non-parent has custody, many courts have held that significant impairment need not be shown. The grandparent must also prove that the parent or non-parent managing conservator intends to completely deny possession and access to the grandparent.